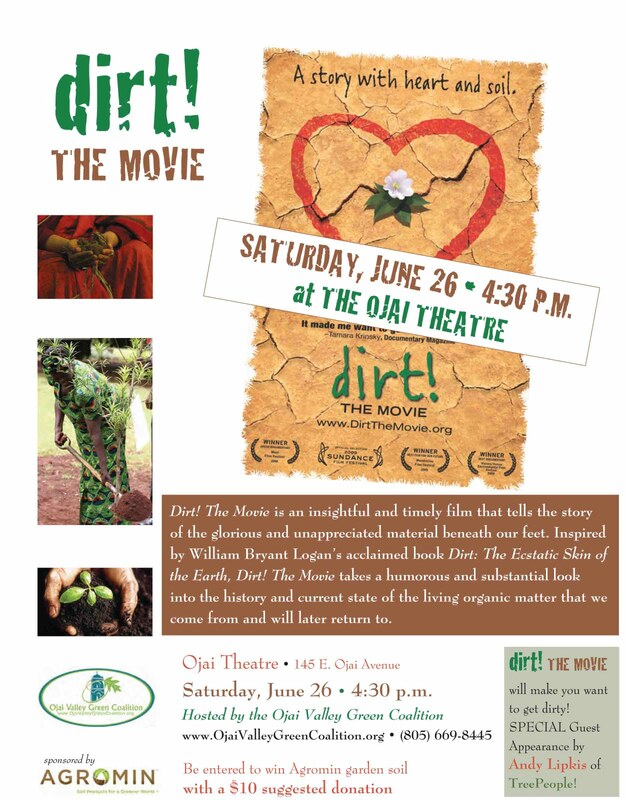 Whether you’re a weekend gardener or you simply care about the environment, mark your calendar for the Saturday, June 26, screening of Dirt! The Movie at 4:30 P.M. The film is based on the book Dirt: The Ecstatic Skin of the Earth by William Bryant Logan. I spoke with Logan last week while he was in town for a Thacher School reunion. Logan, now a New Yorker, spent four years at Thacher. He later became an award-winning translator of Spanish poetry and a writer-in-residence at Manhattan’s Cathedral of St. John the Divine, as well a well-known author. At first glance, Logan looks as if he would be more at home working the fields than living in a Brooklyn apartment. I soon learned that he is also a certified arborist, trimming New York’s trees to supplement his income. A former New York Times columnist, Logan has just finished Oak: The Frame of Civilization, which Publisher’s Weekly has called a “sprawling biography of a tree,” and is researching his next book, Air. I asked him what started it all. We talked about the open space movement, community-supported agriculture, and the approaches that organizations like the Ojai Valley Green Coalition are taking. And that can’t fail to inspire others. Come be inspired by seeing Dirt! 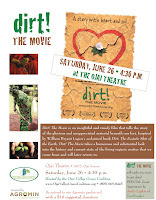 The Movie at the Ojai Theatre, sponsored by the Ojai Valley Green Coalition and local organic recycler and soil-amendment purveyor Agromin, and with a special appearance by Andy Lipkis, founder of L.A.’s TreePeople. For more information, go to ojaivalleygreencoalition.org or call (805) 669-8445.